Try these simple 10 ways to lower cholesterol and improving overall health and inflammation. High cholesterol can make you more likely to get heart disease so it’s definitely something you want to keep a handle on and take some steps to lower, if needs be. Even if your cholesterol is already on the high side, there’s quite a bit you can do to reduce your levels of “bad” LDL cholesterol and improve your “good” HDL cholesterol into the bargain. Foods that are rich in soluble fiber contains sterols, which help your body to absorb less cholesterol. This makes it easier for your body to send it on its way so that there is a whole lot less potential for it to clog up your arteries. According to research, upping your soluble fiber intake to 5-10g per day can see a drop in your LDL cholesterol levels. Changing up your breakfast to oats can lower cholesterol and according to studies, this could equate to over 5% after 6 weeks. This is down to their beta-glucan content, which absorbs cholesterol so that your body can excrete more of it. If you’re not currently making the most of your breakfast, switching things up with oats is an easy way to keep you feeling fuller for longer and help your cholesterol too. Nuts are also a good source of of sterols, which means that less cholesterol is absorbed by your body. This makes them a perfect snack for lower cholesterol. Don’t go too overboard though as they contain a fair amount of fat (albeit the super healthy kind). In one study, snacking on walnuts 6 days a week for a month reduced LDL cholesterol by nearly 10%. Soy contains proteins that can affect how the body regulates cholesterol. Soy milk and soy-based yogurts can reduce your cholesterol by up to 6% and you only need around 15g per day to make this happen. If you can’t have dairy products or you just want to have less dairy in your diet, soy products are a great alternative – even more so when you consider their cholesterol lowering benefits! Swapping out more saturated fat for healthier alternatives is a great move for your cholesterol. One way you can do is by dipping your bread in olive oil rather than spreading it with butter can reduce LDL cholesterol by up to 15%. And the good, healthy fats in olive oil are heart healthy too. Extra virgin olive oil is your best bet as it’s got more antioxidants. Avocado and other monounsaturated fatty acids are also a good choice to stop as much cholesterol being absorbed. Adding half a cup of beans to your soup can bring your LDL cholesterol down by up to 8%. Plus, it’s an easy way to add a bit more fiber and bulk out your soups. Not in the habit of using garlic and spices in your dishes? They’re an easy way to keep cholesterol in check. According to studies, eating up to a clove of garlic every day could help to reduce your LDL cholesterol by nearly 10%. Garlic can also stop cholesterol particles from clogging arteries as much as they may otherwise do. Spices are also said to reduce your appetite so they can potentially stop you putting on weight that could negatively affect your cholesterol. Read more on healthy meals to improve health in our previous post, here. Here’s a tip that most of you will love – snacking on dark chocolate can affect your cholesterol too. Just make sure that it’s a really high-quality dark chocolate, preferably one with at least 70% cacao. This is the type that is most likely to be able to increase your “good” HDL cholesterol. If you’re not as active as you could be, regular exercise can be one of the keys to keeping your cholesterol in check. Working out for around 2.5 hours each week can bring your cholesterol down and encourage your HDL cholesterol to go up too. Every bit of exercise counts so whatever you can do is going to help to keep your cholesterol at a healthier level. If you’re even a little bit overweight at the moment, getting down to a healthy weight can help to reduce your LDL cholesterol. It can be better to do this gradually though and aim to lose around 1-2 lbs per week until you get to your target weight. This is more sustainable than losing a good chunk of weight quickly and trying to keep it off. To summarize, just keep it simple! Eating a gluten-free, whole food based diet is the starting point to lowering cholesterol and improving overall health and inflammation. 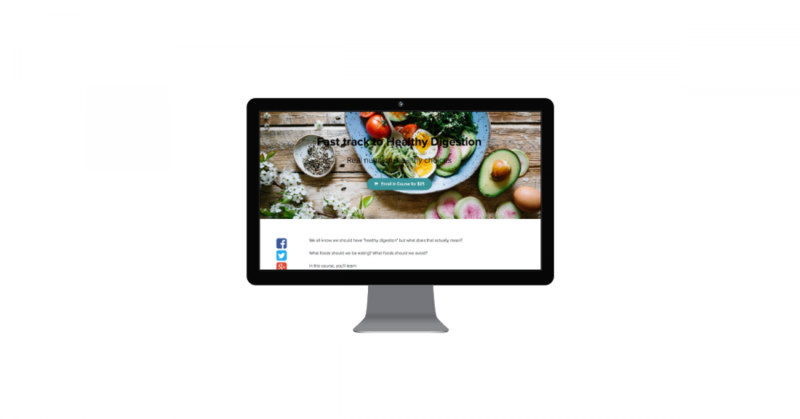 If you want a kickstart to cutting inflammation, checkout Dr. Ellie’s signature course, The Anti-inflammatory Kickstart Plan. It has everything you need to get started and comes with super easy 7 day meal plan and recipes! Dr. Ellie specializes in the treatment of chronic pain and digestive issues. To learn more about our clinic or to schedule a consult at our Bothell, WA location. Please call the office at (425) 686-4498.